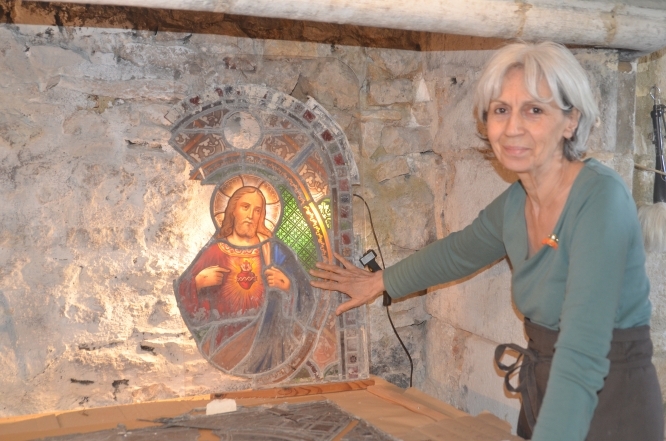 France has more stained glass windows than any country in the world, which means there are opportunities for stained glass experts to work on restoration projects as well as modern creations. At present there are 450 businesses with 1,100 maître verriers or vitraillistes and around 80% of their work is in restoration. Their skills are recognised around the world. 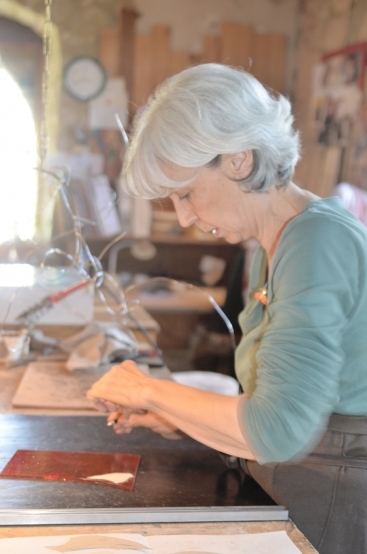 Chantal Jean has her workshop in the oldest house in Rocamadour, Lot, close to the sanctuary and its seven chapels and has taken care of all the recent stained glass restoration work at the site.